1. CRATE customers create a login for themselves. This can be done through your social media accounts or just through your e-mail address. 2. After creating a user file and agreeing to CRATE’s privacy policies, participants can upload their 10 best photos from their river trip onto CRATE’s photo sharing webpage. This can be done by a drag and drop method on more modern browsers(Chrome, Firefox, Opera), or by selecting the photos on your computer and clicking the “upload” button. 3. When the upload is complete, participants will be asked to tell more about each photo. Who took the photo? What was happening when the photo was taken? Where was the photo taken? When was the photo taken – time of day, how far into the trip? How did you take it – type of camera, special camera settings, unique physical location or requirements, etc. Why – what prompted you to take this picture? The more that is written in the description section, the more interesting it will be for others to look at. 4. After you have set up your account, you will be able to download photos posted by other participants from your trip onto your own computer for your personal use. We think this will be a great feature for our guests, because up to 250 of the best pictures from your trip will be available for sharing. 5. Participants will also be able to browse photos from other CRATE trips, although the download feature will only be available for guests on the same trip. 2013. After agreeing to our rules and procedures a participant can enter a maximum of six photos split among three categories. The categories are “Landscape,” “People,” and “River. “ For the Landscape category we are looking for beautiful scenery. For the People category we are looking for photos with people having a good time hiking, relaxing, getting splashed with a wall of water, or just having a good time on a river trip. For the river section of the contest we are looking for great shots of boats and rapids. 7. Now the EXCITING PART —The Photo Contest will run until midnight on November 30, 2013. The winners will be decided based on fan votes and popularity. Every time a photo is downloaded by a fellow trip-mate, shared on social media, or liked by someone it will receive points through CRATE’s photo contest algorithim. The photograph having the most points will be deemed the Grand Prize winner. The Grand Prize winner will receive a space on the 2014 Tom Till Grand Canyon Photography Workshop Trip May 3-14. The winner from each category will receive 1 free Utah rafting vacation through Desolation, Cataract, or Westwater Canyon. GET YOUR PHOTOS UPLOADED EARLY SO YOU CAN START ACQUIRING VOTES!!! Best of all, by using Crate’s Photo Sharing Web Page, all CRATE customers can see your photos and be inspired by the fun, excitement, beauty and adventure experienced on a river expedition. You will retain all rights to any photograph you submit other than those rights licensed in the following paragraph. 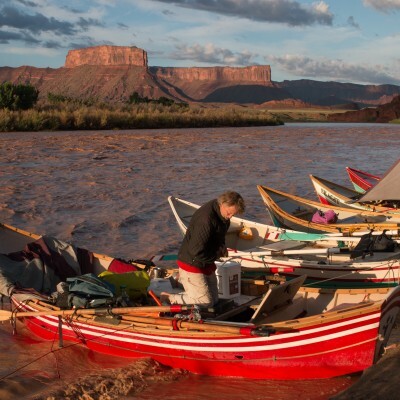 By submitting your photo(s) for inclusion on Colorado River and Trail Expeditions’ Photo Sharing Web Page and/or Photo Contest: (1) you hereby grant to Colorado River & Trail Expeditions, Inc., a nonexclusive, royalty-free license to reproduce, distribute, publicly display and publicly perform the photograph(s) you submit, and the right to use your name, state and country of residence in promotions and other publications; and (2) you hereby grant to other Photo Sharing Participants on your same river trip the right to reproduce, distribute, and publicly display your photographs for their personal use only. Please Note: When you place your photos on the CRATE photo sharing sight, you retain the copyright and ownership of the photos, but you are permitting other people on your trip to download them and use them for personal purposes that may include showing them in a public slide show and/or sharing them on social media sites like YouTube, Facebook and Pinterest, or other media sites. This is great exposure for your art, but we urge you not to post any photo that you do not want to share with the world at large. If any person appearing in any photograph is under the age of 18, a parent or legal guardian is must give all necessary releases and consents to the photographer. Colorado River & Trail Expeditions, Inc. will review all submitted photographs and retains the right to reject or remove those that in our opinion are inappropriate, obscene, provocative, defamatory, sexually explicit, or otherwise objectionable. *The photograph, in its entirety, must be a single work of original material taken by the Contest entrant. By entering the Contest, entrant represents, acknowledges and warrants that the submitted photograph is an original work created solely by the entrant, that the photograph does not infringe on the copyrights, trademarks, moral rights, rights of privacy/publicity or intellectual property rights of any person or entity, and that no other party has any right, title, claim or interest in the photograph. *If the photograph contains any material or elements that are not owned by the entrant and/or which are subject to the rights of third parties, and/or if any persons appear in the photograph, the entrant is responsible for obtaining, prior to submission of the photograph, any and all releases and consents necessary to permit the exhibition and use of the photograph in the manner set forth in these Official Rules. *Upon Colorado River & Trail Expedition’s request, each entrant must be prepared to provide a signed release from all persons who appear in the photograph submitted. Failure to provide such releases upon request may result in disqualification at any time during the Contest and selection of an alternate winner. Posted February 3, 2013 by Crate Inc.